Your body composition may be a better predictor than just your weight of high blood pressure, diabetes, and other health risks. Here are the most accurate and effective ways to measure it. Whether your priority is looking good in a bathing suit or living to see 100, thereâs one piece of information that might stand in the way. 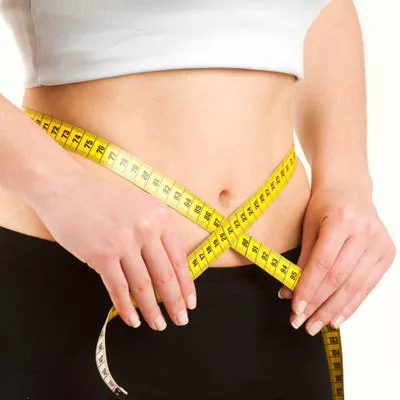 Body composition, the measure of fat mass to lean tissue (including bone, muscle, ligaments, tendons and organs), is an important metric that often gets overlooked. Higher levels of body fat have been linked to an increased incidence of diabetes, high blood pressure and other heart risks. And the overall amount isnât the only concern; distribution of body fat matters too. For some individuals, increased levels of abdominal fat have been tied to higher risks of heart disease and cancer compared to fat distributed across the rest of the body. So, how exactly do you track body fat? A quick Google search will reveal dozens of methods to measure body composition ranging from the quick and (relatively) painless to the incredibly detailed. These measurement techniques can help individuals set baseline values for body composition and goals for later on down the line. However, with the variation in methods comes a fluctuation in accuracy. Wherein one method might nail down your percent body fat to within a few decimals, others leave a wider range of error. To help you navigate the numerous techniques, read on for the top five methods for measuring body composition along with the pros and cons of each. It might not be St. Patrickâs Day, but get ready to be pinched! Perhaps the most accessible method for measuring body composition, a skin fold assessment can be done using either three, four or seven sites (meaning parts of the body). The technician pinches the skin and then uses the skin caliper device to measure the thickness of the skin fold for each site. Each protocol has specific sites for testing spread across the body commonly including the chest, arm, abdominals and thigh. Then, after plugging the numbers into a formula, practitioners can estimate body composition. Pros: Since calipers are relatively inexpensive (about $10 per pair), the skin fold method is the most easily accessible of all the methods listed here. Most gyms will have a pair handy, and you can expect more than a few trainers on staff to have adequate experience using them. Eager to keep close tabs on your progress? Consider investing in a pair of calipers to test your body composition at home (though it does take considerable practice to be able to accurately self-administer the test). Bonus: A proper skin fold assessment can be completed in just a matter of minutes, any time or place. Cons: Since this method relies on accurate readings from only a handful of sites on the body, margin for error can vary depending on the experience and knowledge of the technician. To minimize error, Jessica Kneeland, personal trainer and founder of Remodel Fitness, says âThe most important thing is to use the exact same spots every time. Consistency with calipers takes practice, so the key is to practice a lot â or find an expert technician.â Body fat distribution can factor into the accuracy level as well. Although the test takes a measurement from each main area of the body (including the upper body, midsection and lower body), a participant that holds greater amounts of fat outside of the measured areas might end up with a lower reading. Although the name might sound a bit intimidating, bioelectrical impedance is far removed from shock therapy. In fact, users wonât even feel a thing. Bioelectrical impedance scales range from the simple (a normal scale with electrodes under each foot) to the complex (a scale that has handholds with additional electrodes). Regardless of the machine, the devices work by sending tiny electrical impulses through the body and measuring how quickly those impulses return. Since lean tissue conducts electrical impulses quicker than fatty tissue, a faster response time is correlated with a leaner physique. Pros: Bioelectrical impedance monitors tend to be affordable enough to keep one around the house. In fact, many traditional weight scales come with built-in body composition features that can generate and track body fat percentage alongside bodyweight. Outside of the house, bioelectrical impedance monitors can be found at many gyms and personal training studios (although you might need to pay to use them). Since this technique requires little more than pressing a button, users need little to no previous practice, and measurements can be done in a matter of seconds. Cons: The skill and time trade-off comes at an expense: accuracy. Bioelectrical impedance measurements are generally much less accurate than methods like DEXA scans (see below). Readings can be greatly affected by variables like hydration levels (since water also conducts electrical impulses), meal times (a recent meal can skew results), and workouts (taking a reading directly after exercise leads to a lower body fat reading). Kneeland, who uses a bioelectrical impedance machine called an InBody Machine with clients, acknowledges that itâs crucial for clients to follow a set protocol â particularly concerning food and fluid intake. For the most consistent reading, take readings at similar times during the day in the same conditions, Kneeland says. If the thought of getting dunked underwater suits your fancy, this might be the method for you. Hydrostatic weighing, commonly referred to as underwater weighing, compares a subjectâs normal bodyweight (outside the water) to their bodyweight while completely submerged. Using these two numbers and the density of the water, operators can accurately nail down the subjectâs density. This number is then used to estimate body composition. Pros: Hydrostatic weighing is an incredibly accurate technique for measuring body composition. The technique uses tried and true variables that feature a low percentage of error. For that reason, itâs often referred to as the gold standard for measuring body composition and commonly used in research settings. Cons: Unless you happen to have an underwater scale at home, youâre going to have to find a lab or a performance center that offers hydrostatic weighing. As a result, this method can be a bit inconvenient and more expensive (ranging from $40 to $60) compared to other techniques. Subjects also have to forcefully exhale as much air out of their lungs as possible (to reduce potential for error) and sit submerged completely underwater, which might be uncomfortable for some individuals. Think X-rays were just for broken bones? A DEXA scan exposes patients to X-ray beams of differing intensities and can be used to measure bone mineral density alongside body composition. Participants lie still on a table while a machine arm passes over their entire body, which emits a high- and a low-energy X-ray beam. By measuring the absorption of each beam into parts of the body, technicians can get readings for bone mineral density, lean body mass and fat mass. And since the machine scans body parts individually, the test can also break down body composition per limb so you can confirm your suspicions that your right leg is indeed just a bit stronger than your left. Pros: Like hydrostatic weighing, DEXA scans are incredibly accurate at measuring body composition. But whereas hydrostatic weighing involves getting dunked under the water, a DEXA scan simply involves lying on a table for a few quick, dry and painless minutes. Cons: Like the hydrostatic weighing method, donât count on the advanced technology used in the DEXA scan to be available âround the clock. Getting a DEXA scan usually involves making an appointment with a medical professional in your area. The high level of accuracy also comes at a relatively high price tag compared to other methods, which will vary based on location. Donât let the name intimidate you. Air-displacement plethysmography is actually very similar to underwater weighing. First, participants sit in a small machine, like this âBOD Pod.â Then, by measuring how much air is displaced by the individual, technicians can determine body density. Like underwater weighing, the participantâs body density is then used to calculate body composition. Pros: Since the air-displacement plethysmography method doesnât involve dunking your head underwater for an extended period of time, many subjects will find it more comfortable. The shape and size of the machine used in this technique, which typically resembles an egg, makes it accommodating for persons of almost any age, shape and size. Cons: Like hydrostatic weighing and DEXA scans, air-displacement plethysmography wonât likely be found in your neighborhood gym. While commercial machines might pop up at select high-level training facilities, locating one near you might be difficult. Plus, the cost (between $45 and $60 per reading) might steer you in the other direction. Regardless of which metric you go with, resist the urge to test on a weekly basis. According to Kneeland, results take time. âI encourage new clients to wait at least six to eight weeks before re-measuring their body fat percentage, because at first I just want them focusing on implementing good habits and noticing how they feel,â she says. As for which testing procedure to try, find a method that works for you and stick with it. Though bioelectrical impedance and skin calipers tend to be slightly less accurate than more high-tech methods like underwater weighing, they can still be an incredibly useful tool. And remember, body composition should be just one metric on the road to health and fitness (alongside others like sleep quality, energy levels and happiness) â not the entire focus of your training.